Get A Free Dr. Bronner’s Lavender Pure-Castile Liquid Soap! It’s the new year, which means it’s time to declutter your personal care and household cleaning products. Why not switch to a multipurpose soap that is better for you, your home, and the environment? Luckily, Dr. Bronner’s is committed to making socially and environmentally responsible products of the highest quality, while dedicating their profits to help make a better world. Their Lavender Pure-Castile Liquid Soap is loved for its effectiveness to calm the mind and soothe the body. Made with certified organic and Fair Trade ingredients, this liquid soap can be diluted for just about any household or bodycare use. From face washes to all-purpose cleaners, Dr. Bronner’s is the very best soap to have on hand for all your cleaning needs. Hey, if you grab this freebie, please let us know how it went! Follow us and write comments on our Facebook page! 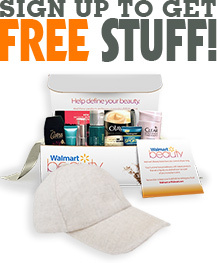 To get this freebie, you'll need a Moms Meet account! Click on the link below and find the login or join button on the top right. Join Moms Meet, earn points and rewards, plus get free products to test!